Crete is an important part of Greece as its largest island, and forms a significant part of the economy and cultural heritage of Greece, while retaining its own local cultural traits (such as its own poetry and music). More than 2 million people visit the island every year to see this beautiful, unique and historically rich part of Greece. The island has numerous destinations and sites that both tourists and citizens love to go to, either to get a piece of the past of the island or to see what it has become today. We have made a list of the top 20 things to do in Crete so you can decide if you would like to experience it for yourself as well. 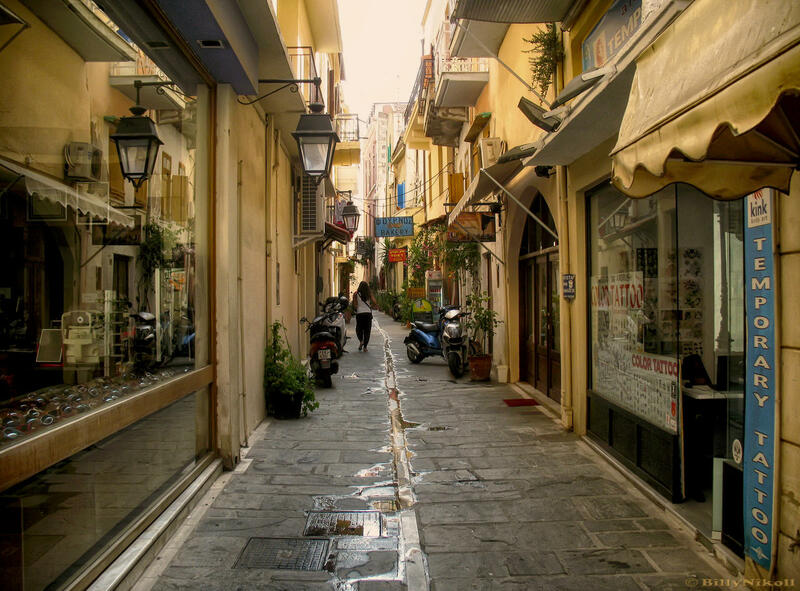 The Old Town of Rethymno is a beautiful neighborhood in the city that dates back to the 11th century. Venetian Renaissance architecture along with Turkish influence spread throughout the city, making it a unique experience. Not only the maze-like streets are charming, but the local people as well. Food and shopping options are quite abundant in this part of the city. The Fortezza of Rethymno has saw its fair share of war and change. The citadel was built by the Venetians in the 16th century and later became captured by the Ottoman Empire. During the 20th century, many houses were built inside the citadel, but as a result of World War II, much of them were demolished or destroyed. Today visitors can still see the remaining buildings and temples, and the place is also often used as a site for renaissance festivals. If you happen to come during summer or when the weather is especially good, then be sure to visit Vai Beach. The beach is well-known as the home to the largest palm grove in Europe with 5 thousand palm trees that have been there for more than 2 thousand years. Regular beach activities are quite popular here, but taking a walk among the palm trees and alongside the beach is also a very pleasant experience. Elafonisi Beach sparkles with unique pink-tinted sand and beautiful crystal-clear Mediterranean waters. The beach is tucked away in a more secluded location, making it an even more interesting experience. Although tourists already learned about this site as well, it is still worth coming here, especially if you don’t plan on coming during summer. A wonderful little uninhabited island can be found here as well, which has a light house and a chapel on it, next to many beautiful plants. The Palace of Knossos was the spectacular palace of the Minoan civilization. 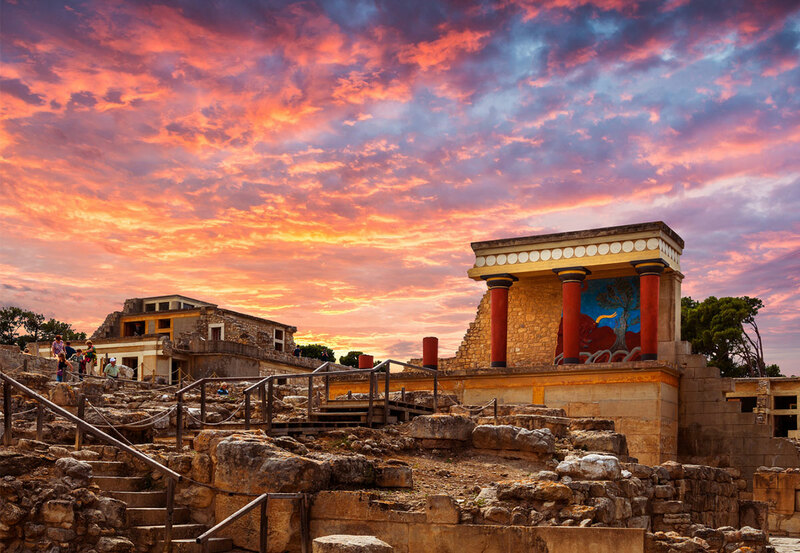 Knossos is perhaps the oldest known city in Europe, and has a rich history. The palace and the site around it has only been excavated a hundred years ago, but it has become a popular tourist destination thanks to its mysterious beauty. According to Greek mythology, this is the location of the legendary labyrinth, where the Minotaur was held. This is also the location where the Linear A and Linear B ancient scripts were found by the excavators. 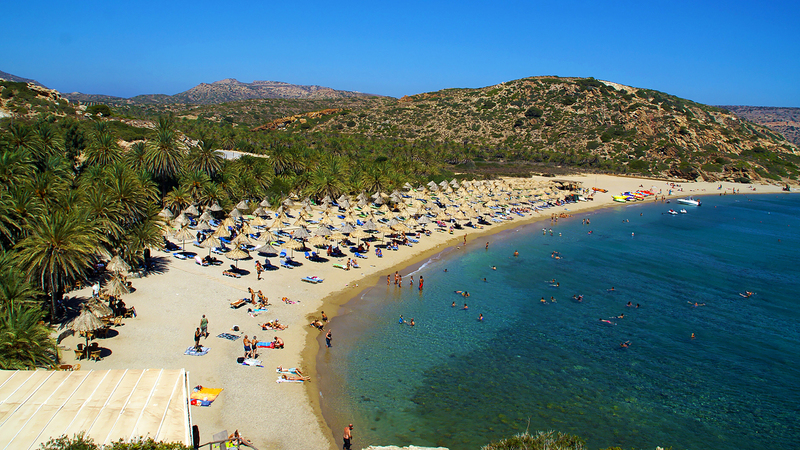 Coming here is definitely one of the best things to do in Crete. The Samaria Gorge National Park is a large and wonderful nation park on Crete. Hundreds of people come here every day to hike and see this beautiful gorge and canyon for themselves. Be aware that the longest trails can take up to 4-6 hours to go through, and even more if you are less experienced at hiking mountainous paths. The experience is definitely worth it, as it is one of a kind in all of Europe, and it’s one of the best things to do in Crete. The Historical Museum of Crete can be found in the capital of Heraklion. The museum’s permanent collections display the art and history of Crete from the 4th century AD up to and including the Second World War. The collection is quite diverse in its subjects and types, and include ceramics, sculptures, coins, jewelries, wall paintings, ritual objects, manuscripts, heirlooms, weavings and much more. If you are more interested in the past of Crete, then the Heraklion Archaeological Museum is where you should go. It holds the most prominent and largest collection of art and artifacts from the Minoan civilization. 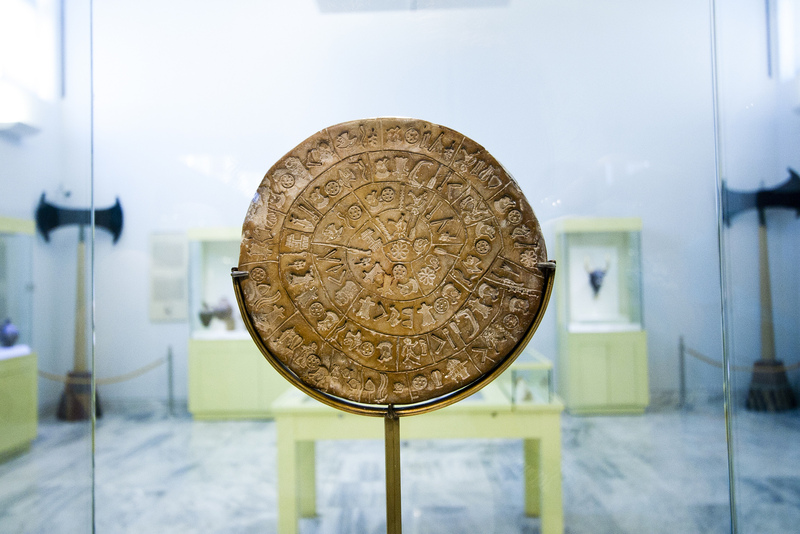 One of the most famous of these objects is the Phaistos Disc, a clay tablet with symbols on it that have not been deciphered to this day. 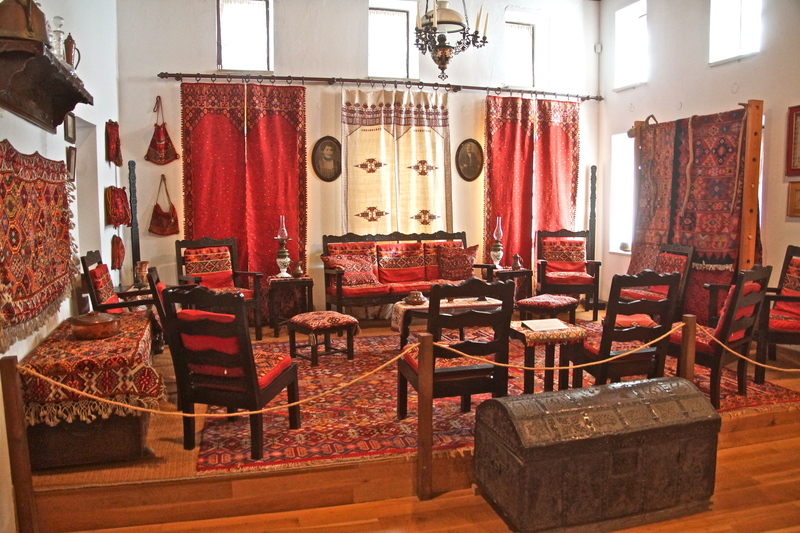 The Historical and Folk Art Museum of Rethymno offers an insight into the past and culture of the region. The museum focuses on rural life in Crete with exhibits that cover everything from ceramics to farm equipment, and aims to preserve the traditions and history of the Cretan lifestyles. The Cretaquarium was built as a project as part of a marine park for research, education, culture and recreation. It is home to around 2 thousand sea animals and 200 different Mediterranean species, all kept in tanks of varying size. The place is popular for its well-organized and clean habitats. Spinalonga is the name of a smaller island in Crete. It was originally part of the large island, but during Venetian occupation the island was carved out of the coast as a defensive measure, and they also built a fort on it, one which can still be seen today. At one point during its history, the island was also used as a leper colony. The Cave of Zeus, or Ida Cave, is supposedly the place where Zeus was born, and was worshipped throughout the antiquity. Stalactites and stalagmites fill the deep and spacious cave system, which can also provide a retreat during summer thanks to its colder air. 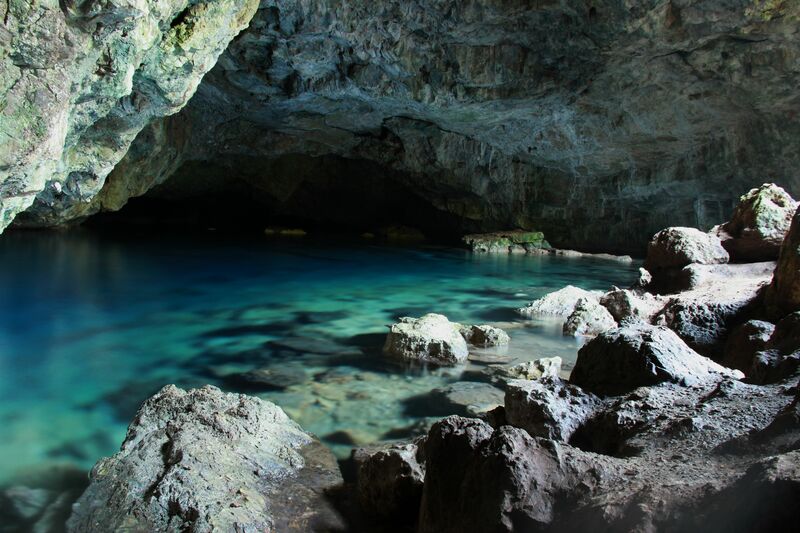 Sometime during its past, mining and exploration were done here in the cave system. Psychro Cave, also sometimes called the Dikteon Cave, is famous in Greek mythology for being the cave where Zeus was hidden from his father Cronus and nurtured with milk. Whether or not something like this had happened, the cave is still a spectacular sight to see, with countless stalactites and stalagmites. Agios Nikolaos is a smaller coastal town that is most known for its charm. People come here often to shop, eat, take a walk between the older and newer buildings or just enjoy the excellent weather as ships and people go by. During the 60s the town got even more attention by tourists when it was discovered by famous cinema directors and other people related to television and the film industry. 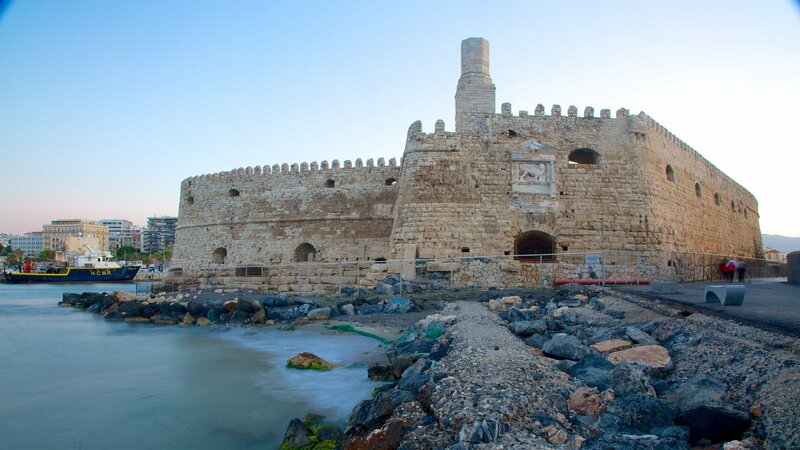 The Koules Fortress is situated at the end of the Heraklion’s inner harbor and has been a fortification used by both Venetians, who originally built it, and the Ottoman, who captured it. The fortification has since been restored and is now available for visitors to see. Art exhibitions and cultural activities are occasionally held at the fort, so it’s best to plan ahead and see if there is anything held here when you arrive. Running along the Kourtaliotiko River, the 3km long Kourtaliotiko Gorge is a beautiful sight to behold. There is a small church in the gorge and a 40-metre-high waterfall, and at the entrance you can hear mysterious clapping sounds, known as “kourtala” (hence the name), which are actually made by wind being funnelled through the high caves of the gorge, which then break the sound barrier. Another excellent hiking area is the Imbros Gorge, a 11-km-long canyon. It’s an easier area, so even those who are not usually going on long trips and hikes can enjoy the beautiful nature here and see the small villages along the trail. The gorge also holds historical significance, as during World War II, Allied troops walked through the gorge while trying to escape Crete and get to Egypt. Some of their relatives come to visit the gorge today as a kind of pilgrimage. 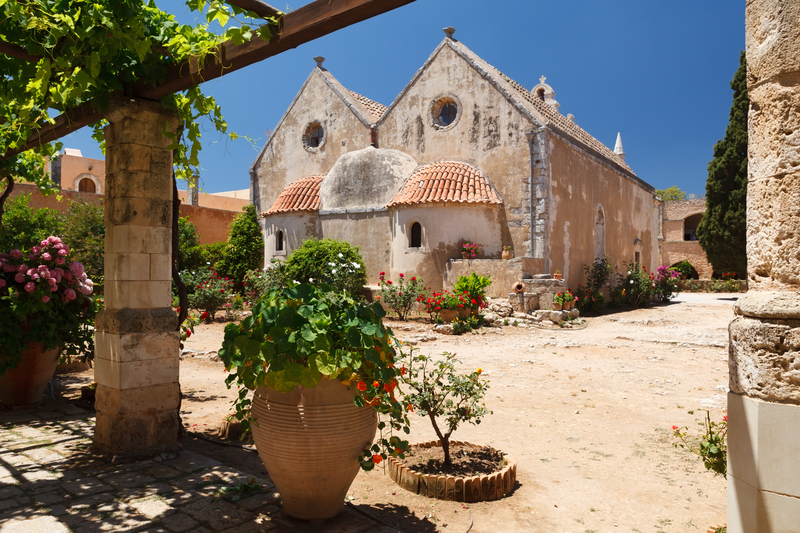 The Arkadi Monastery is an Eastern Orthodox monastery on Crete that is well known for being quite wonderful in its design, influenced by the renaissance, with both Roman and baroque elements. While it has a somewhat bloody history, the monastery today is a great place for a peaceful walk through its beautiful buildings and gardens. The Cretan Olive Oil Farm offers tours of their facilities for all ages, which can be both fun and educational. Children will love seeing the animals here, while adults can also sample some wine. The farms provide a great insight into the traditional and important Greek products. Lake Kournas is the only freshwater lake of Crete, and well-known for its beautiful clear blue colour. Swimming or walking around the marvelous lake is both an enjoyable experience, but you can also take rent a boat and see the lake and the surrounding region from its center.